After a brief but much needed winter vacation to the warm and sun of southern California, we're back and ready to dive right in to some big news out of Ann Arbor. As we thought would happen when we signed off last week, Michigan found it's new defensive coordinator. 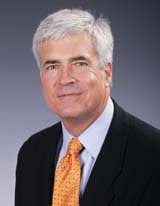 His name is Greg Robinson. He comes to Michigan fresh off being fired as the head coach of the Syracuse Orangemen (ironically where former Michigan DC Scott Shafer is going). 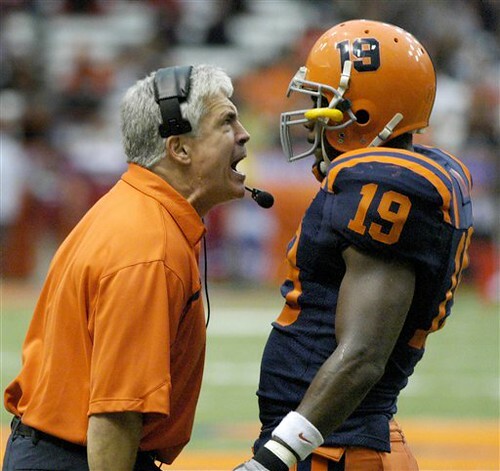 Robinson coached at Syracuse for 4 seasons compiling a horrific 10-37 record. But he has had some success as a defensive coordinator. Before heading to Syracuse, he was the DC for Mack Brown at Texas in 2004. That wasn't a banner defensive year for Texas, but 2005 was, the year after he left...thank you very much Vince Young. Before that he was the DC for the Kansas City Cheifs from 2001-2003. Those years were not very kind to the Cheifs. But as with most NFL coaching situations, it's so hard to really cast blame on any one single guy. From 1995-2000 he was the DC for the Denver Broncos. Easily the most success he's has as a coordinator. Albeit John Elway helped, but Robinson was on the staff for Denver's back-to-back Super Bowl wins in 1997 and 1998. In 1994, he was DC for the New York Jets, after coaching the defensive line there from 1990-1993. He also spent time as an assistant at UCLA, NC State, Cal State Fullerton and Pacific. I'm not exactly sure how I feel about this hire. Okay, sure, he's not a good head coach. That much has been proven. But he has had some success as a defensive coordinator, at least at times. It seems that his defenses have relied on the ability of the offense. So far, he's never had a truly shut-down type of defense. But if the offense has some playmakers, he can work out a type of defense that can keep Michigan in position to win. A lot has been made of the fact that he might not be a strong recruiter. Given his struggles at Syracuse, that point would seem obvious. But how much does it matter if a DC can be a stellar recruiter? As long as he is a good coordinator and had success here, the recruits will find him. I'd rather have a strong DC than another strong recruiter. Leave the heavy lifting to Rodriguez. Time will tell when it comes to how successful Robinson will be here. I thought Scott Shafer was going to do well, so that goes to show you how much I know. From the looks of it on the surface though, Michigan got a good coach in a position where we so desperately need one. Robinson is not a newbie, he's not an up-and-comer, but he's a coach with valuable experience who's proven he can run a defense well. Two super bowl rings look pretty good on a resume too. But just ask Notre Dame how well super bowl rings translate into the college game. I hope Robinson does well...obviously. For more reaction from the Michigan blogosphere, check out here, here and here. And for some "official" news about it, check out here and here.